For those of you ladies who are looking to add a little flare to your Fall wardrobe without breaking the bank, this post is for you! All you need is one really amazing plaid dress. 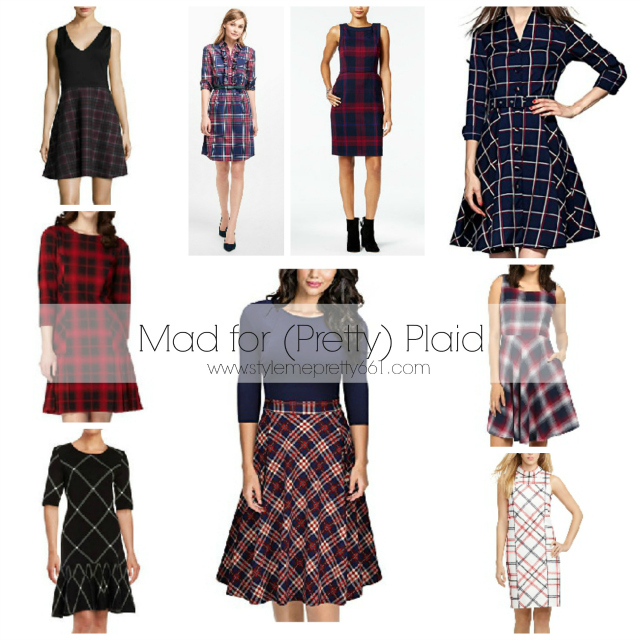 Be it a sheath dress, shirt dress, or fit-and-flare dress, your options are limitless given the numerous, pretty plaid options available right now. No, I'm talking about ladylike plaid. This is where it becomes fun for me. Think feminine silhouettes, flounced hems, ruffled plackets, belted waistlines, and side pockets. These are the darling details that get me every.single.time. So, with that in mind, I set off to find some of the prettiest plaid frocks to freshen up your dress arsenal on any budget. Just scroll through my picks below and click on any of the photos for more details. If you weren't exactly a fan of plaid before, I hope some of these selections have converted you! Thanks for stopping by, and have a good night! I love plaid as much as I do polka dots! Ha! The traditional Christmas plaid dress on Amazon that you linked will soon be mine! For $14.99 how could I resist! Then you're definitely a girl after my own heart. ;-) That dress is so darling and easily one of my favorites! And yes, it's such a steal! I hope you love it!